To celebrate the Lunar New Year, I have prepared 2 Lucky Boxes for you guys. However, only 1 will be rewarded to Everyone. Vote for the Lucky Box you wish to receive and the Lucky Box with the most vote will be rewarded! 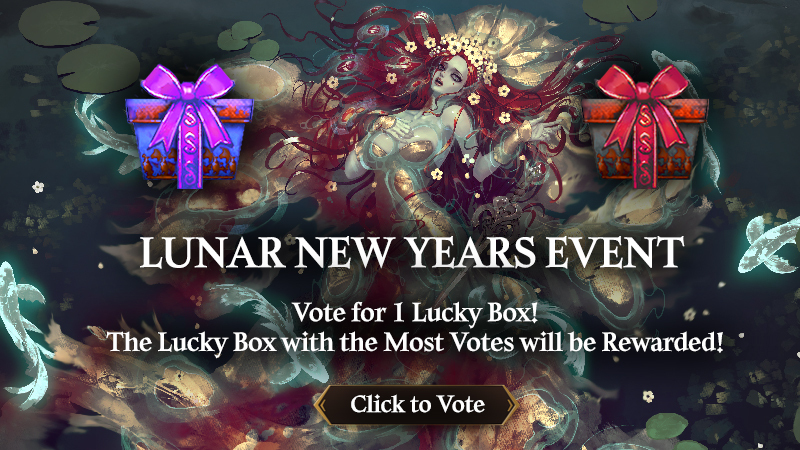 Rewards inside the Box will be revealed on the day of Lunar New Year! * This Event is limited to US / EU / SEA Server only. Last edited by CM_Heylel; 01-30-2019 at 05:30 PM.